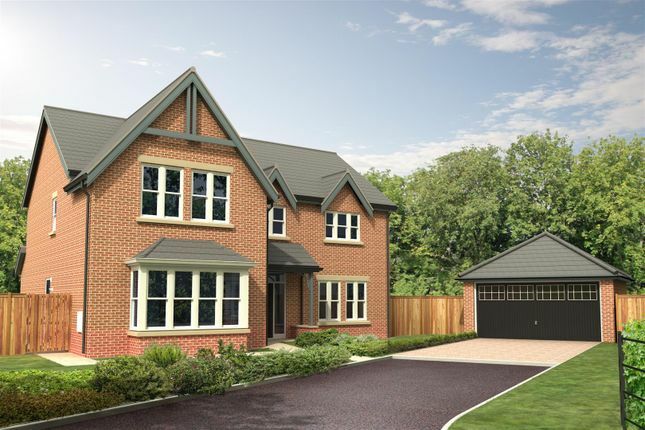 The Eachwick is an impressive five bedroom detached house with detached double garage. A lovely feature of The Eachwick is the very welcoming entrance hall which creates an immediate homely feeling and a sense of arrival. Set around the homely hallway the ground floor accommodation offers spacious rooms including full length lounge, separate dining room, large kitchen/family room and a useful utility room. 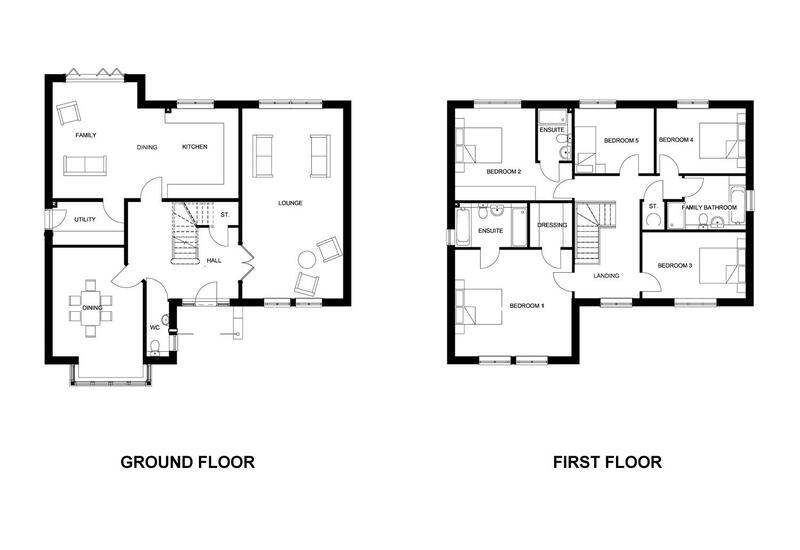 The sense of space continues upstairs with a wide landing and five big bedrooms. The bedrooms are further enhanced by a dressing room and en-suite bathroom to the master bedroom, a second en-suite to bedroom 2 and a further family bathroom. The Eachwick is a true family home with some outstanding features.